Select A Table To Explore! Threshing Floor or Live Edge - Wood, Metal or Turnbuckle Bases - Choose Yours! All our tables have Formaldehyde free finishing and are food safe. 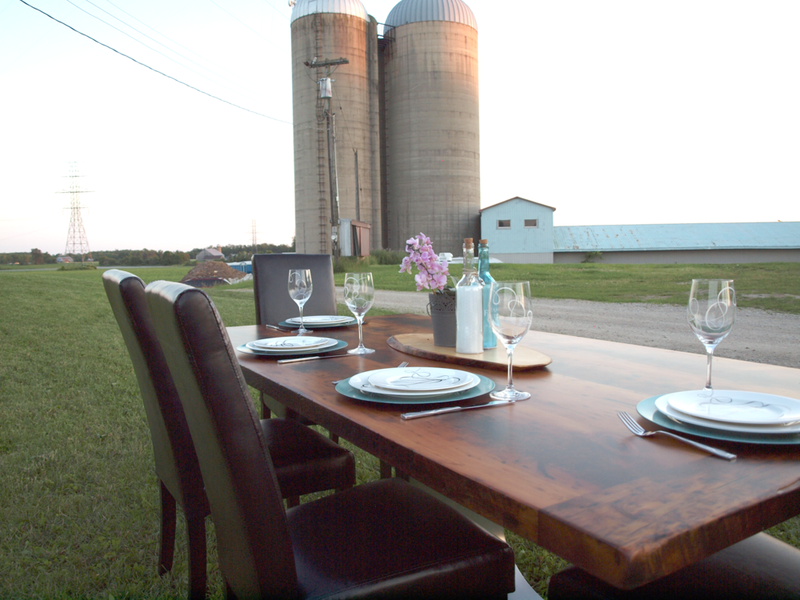 RECLAIMED THRESHING FLOOR TABLE - 42" x 84"
Live Edge Elm Dining Room table with Expresso Finish. Live Edge Black Walnut Table - 40" x 84"
Live Edge Black Walnut custom table with turnbuckle metal base.